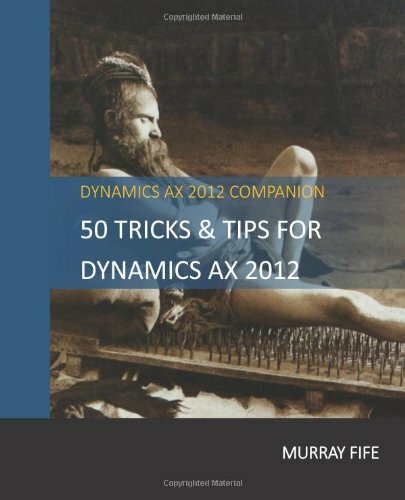 Everyone has a little bit of data within Dynamics AX that they are especially attached to and would rather that other people not tinker with because it would throw a spanner into their finely oiled routines. 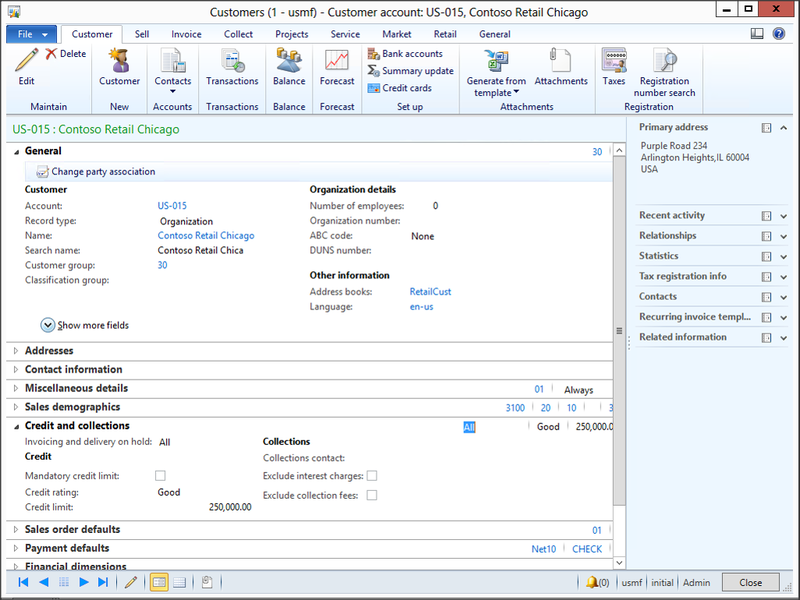 Rather than continually looking over your shoulder and rechecking the data, or even worse waiting for someone to change the data and then be sent into a tailspin days later, you can add alerts to your precious fields that will notify you immediately when a change is made to a field, and you can track down and fix the data right away. 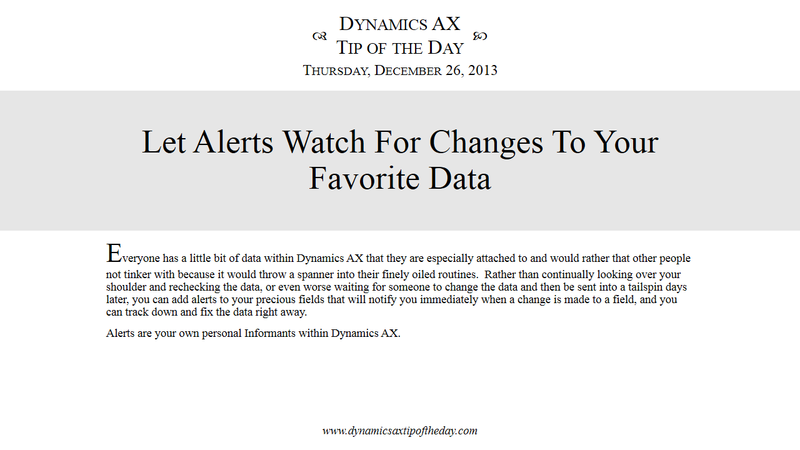 Alerts are your own personal Informants within Dynamics AX. 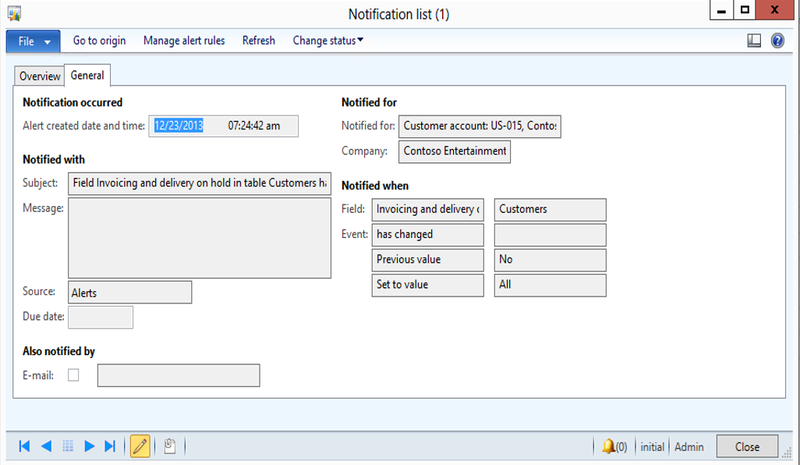 Right-mouse-click on the field that you want to track the changes on, and select the Create alert rule… menu item from the pop up menu. 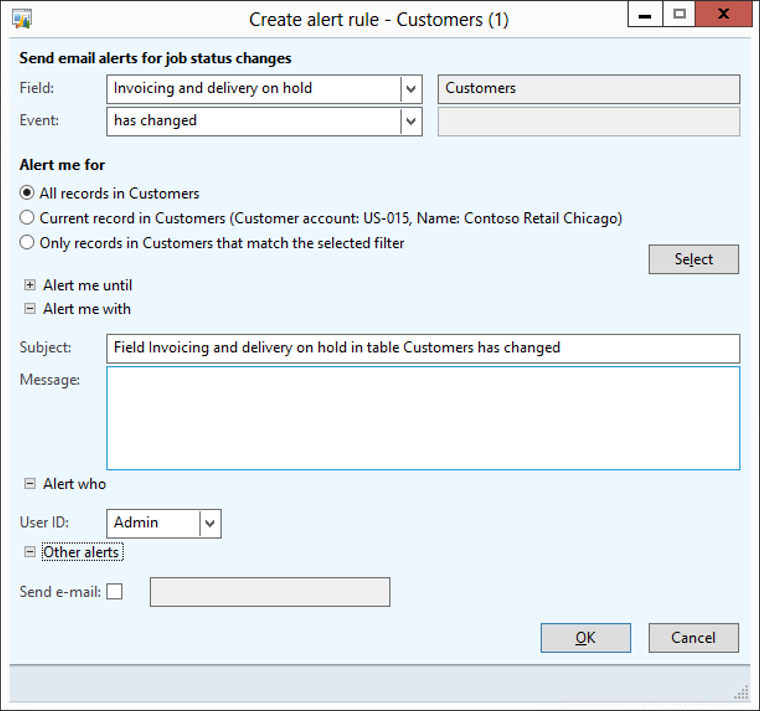 When the Create alert rule dialog box is displayed, you can change any of the default configurations of the alert to allow you to track the entire tables, just this particular record, add a custom message, and also change who is being alerted, and even send the alert to an e-mail address. In most cases, you can just click on the OK button and accept the defaults. 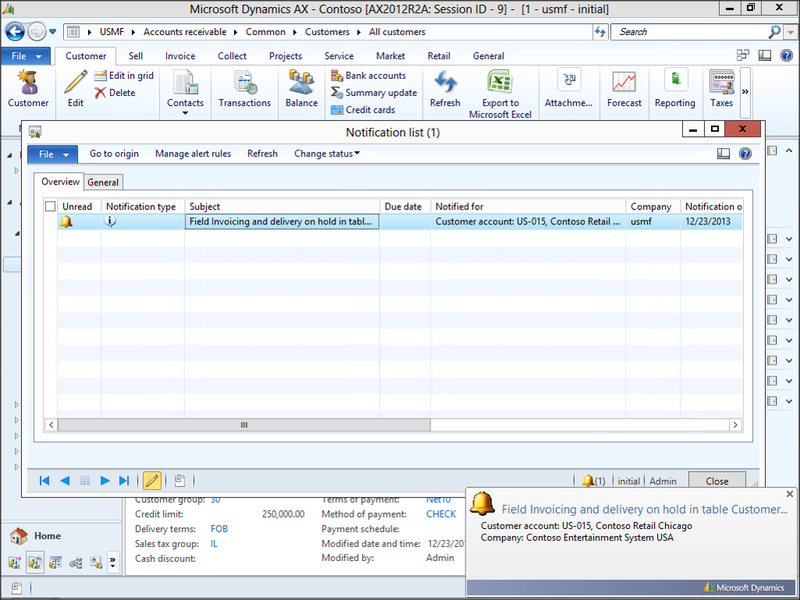 Dynamics AX will then show you all of the Alerts that you have configured. 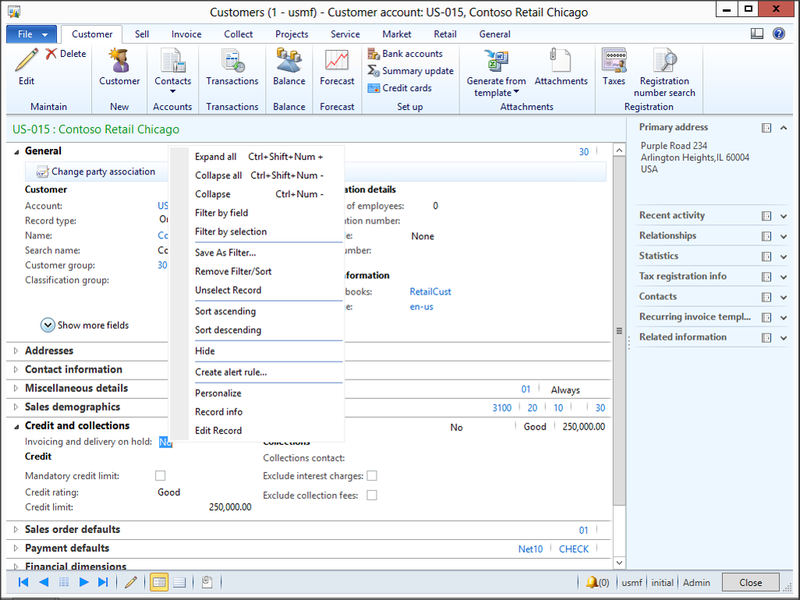 Just click the Close button to exit out of the form and return to the main form you started at. 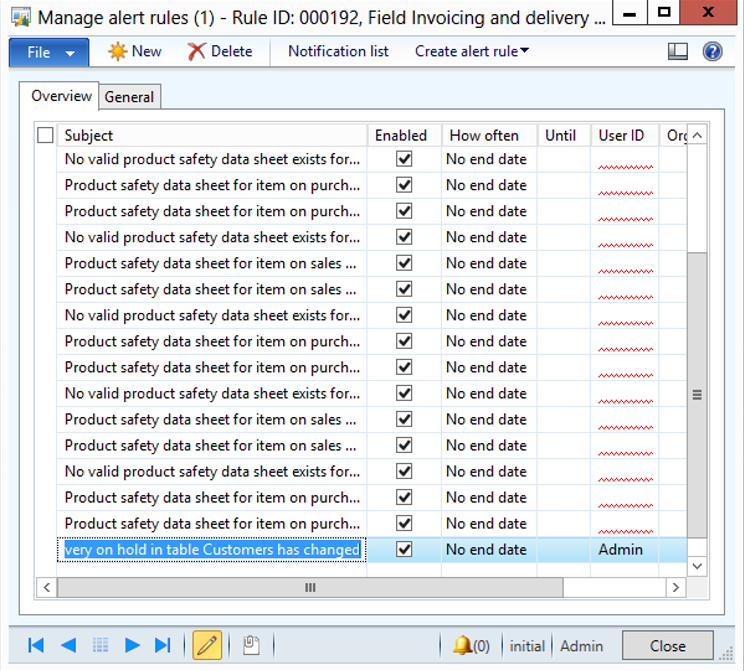 To see the Alert in action, just change the field that you created the alert for. You will receive notifications through the Notifications List and also through pop-up toast card. Clicking on the Notification will show you the change that was made, and when the change was made. If you click on the Go to Origin menu item in the Notification List form then it will take you straight to the record that was changed.